The home of Shropshire’s Big Cats – this is where it all started. 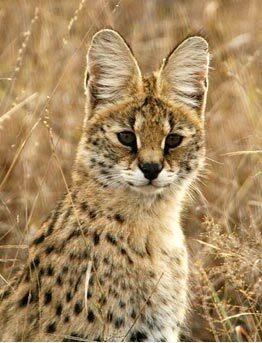 With the arrival in 2013 of our Servals, Zeus and Duma, this area quickly expanded. 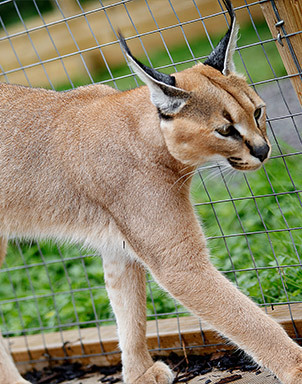 Now the home to Caracals, Porcupine, Meerkats and more – this is one of the farms most popular areas. For 2018, our Bizarre British Wildlife zone was merged with the African Adventure to form the new African and Eurasian Adventure, this was then renamed in 2019 to Animals of the World. Many of the animal talks take place here throughout the day, with talks on our Meerkats and Servals to name a few. Make sure to ring ahead so you don’t miss out. 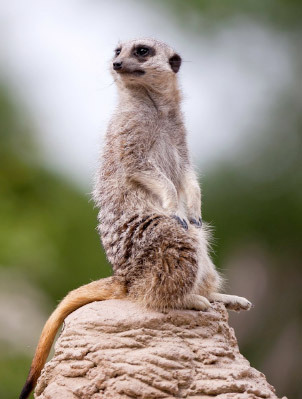 We also offer close experiences with our Meerkats, Servals and Lemurs – find out more on our experiences pages. 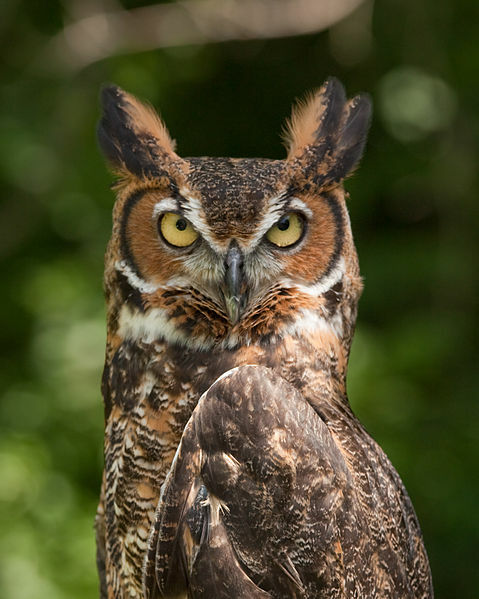 The great horned owl is generally colored for camouflage. The underparts of the species are usually light with some brown horizontal barring; the upper parts and upper wings are generally a mottled brown usually bearing heavy, complex darker markings. All subspecies are darkly barred to some extent along the sides as well. 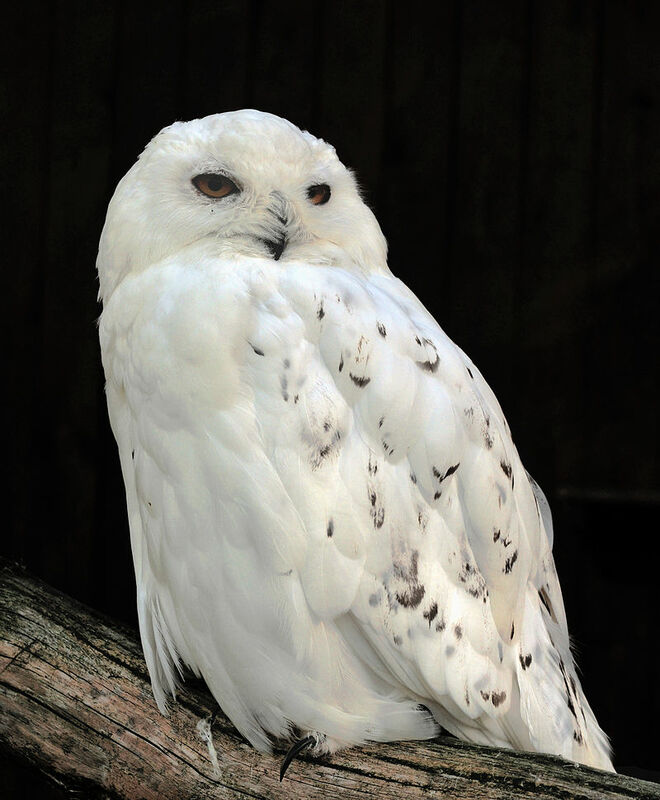 There is a variable sized white patch on the throat. 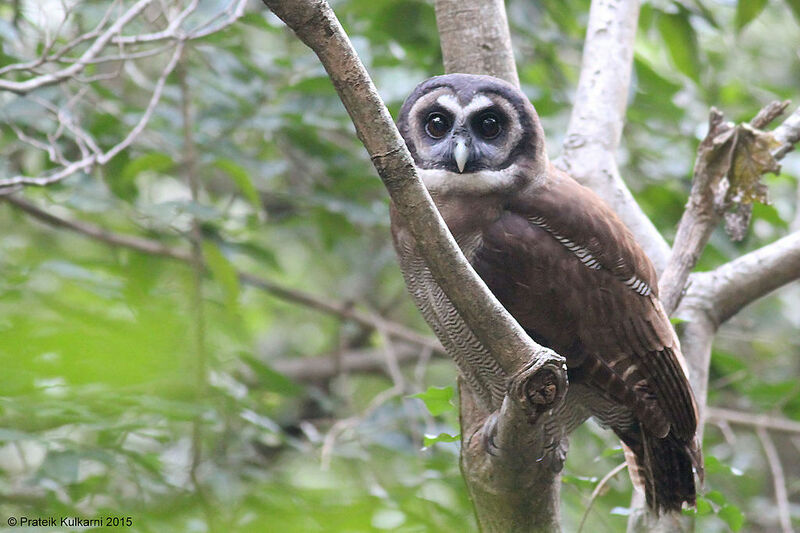 The brown wood owl (Strix leptogrammica) is an owl which is a resident breeder in south Asia from India, Bangladesh and Sri Lanka east to western Indonesia and south China. 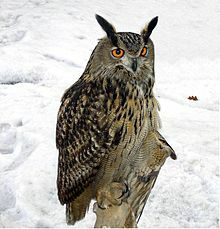 This species is a part of the family of owls known as typical owls (Strigidae), which contains most species of owl. 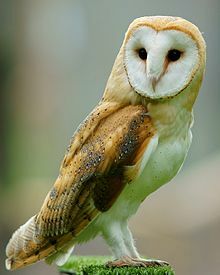 It belongs to the earless owl genus Strix. 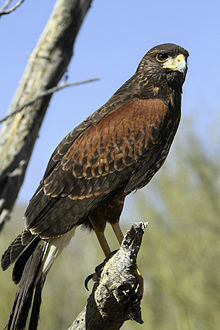 The Harris’s hawk (Parabuteo unicinctus) formerly known as the bay-winged hawk or dusky hawk, is a medium-large bird of prey that breeds from the southwestern United States south to Chile, central Argentina, and Brazil. Birds are sometimes reported at large in Western Europe, especially Britain, but it is a popular species in falconry and these records almost certainly all refer to escapes from captivity. The name is derived from the Greek para, meaning beside, near or like, and the Latin buteo, referring to a kind of buzzard; uni meaning once; and cinctus meaning girdled, referring to the white band at the tip of the tail. John James Audubon gave this bird its English name in honor of his ornithological companion, financial supporter, and friend Edward Harris. 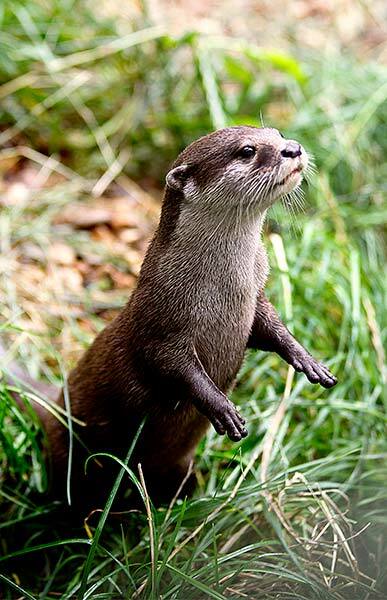 The oriental small-clawed otter (Amblonyx cinerea), also known as the Asian small-clawed otter, is the smallest otter species in the world, weighing less than 5 kg. It lives in mangrove swamps and freshwater wetlands of Bangladesh, Burma, India, southern China, Laos, Malaysia, Indonesia, Singapore, the Philippines, Thailand, and Vietnam. 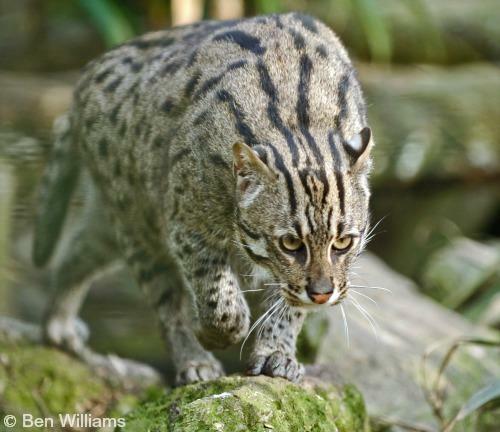 Fishing cats are the largest of the Prionailurus cats. They are about twice the size of a domestic cat and have a stocky, muscular build with medium to short legs. The coarse fur is olive-grey with dark spots arranged in horizontal streaks running along the length of the body. The face is elongated with a distinctly flat nose and ears set far back on the head. 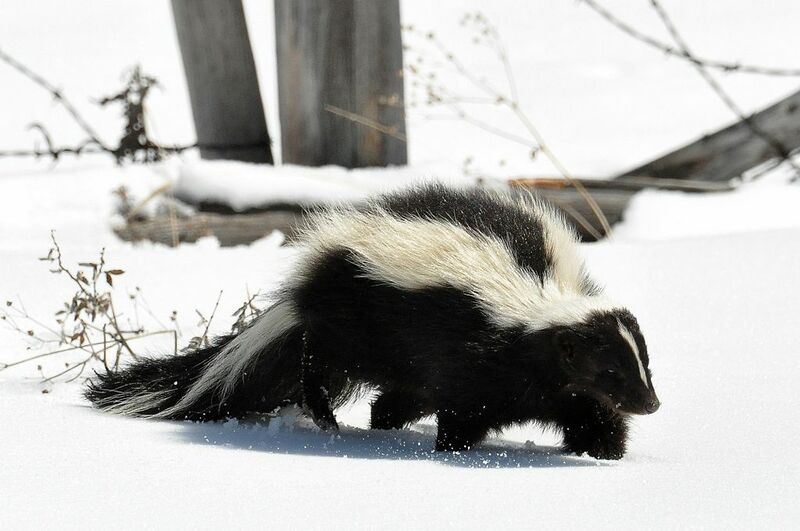 The underside is white, and the back of the ears are black with central white spots. 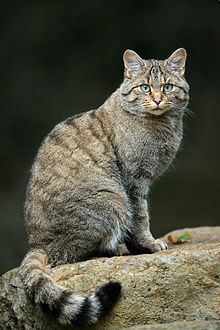 The European wildcat (Felis silvestris silvestris) is the nominate subspecies of the wildcat that inhabits forests of Western, Southern, Central and Eastern Europe up to the Caucasus Mountains. It is absent in Scandinavia and has been extirpated in England and Wales. The raccoon dog, also known as the mangut or tanuki, is a canid indigenous to East Asia. It is the only extant species in the genus Nyctereutes. 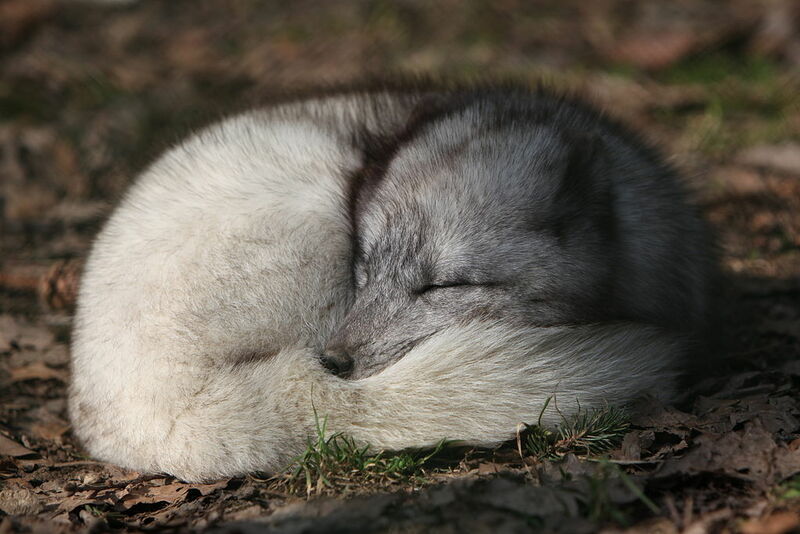 It is considered a basal canid species, resembling ancestral forms of the family. Among the Canidae, the raccoon dog shares the habit of regularly climbing trees only with the North American gray fox, another basal species. 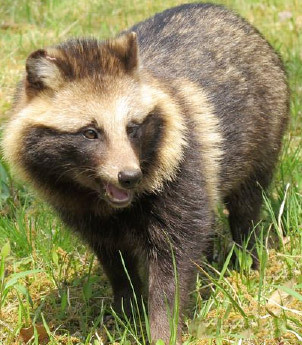 The raccoon dog is named for its superficial resemblance to the raccoon (Procyon lotor), to which it is not closely related. The raccoon (Procyon lotor), is a medium-sized mammal native to North America. The raccoon is the largest of the procyonid family, having a body length of 40 to 70 cm (16 to 28 in) and a body weight of 3.5 to 9 kg (8 to 20 lb). Its grayish coat mostly consists of dense underfur which insulates it against cold weather. 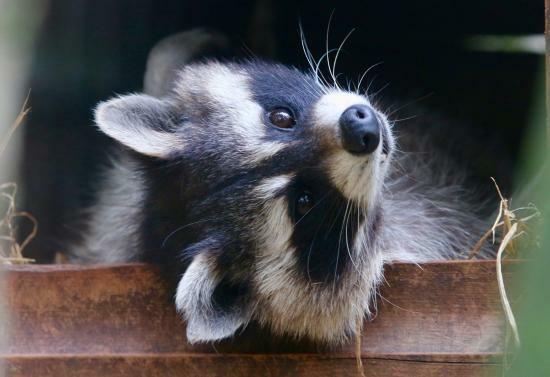 Two of the raccoon’s most distinctive features are its extremely dexterous front paws and its facial mask, which are themes in the mythology of several Native American ethnic groups. Raccoons are noted for their intelligence, with studies showing that they are able to remember the solution to tasks for up to three years. The diet of the omnivorous raccoon, which is usually nocturnal, consists of about 40% invertebrates, 33% plant foods, and 27% vertebrates. 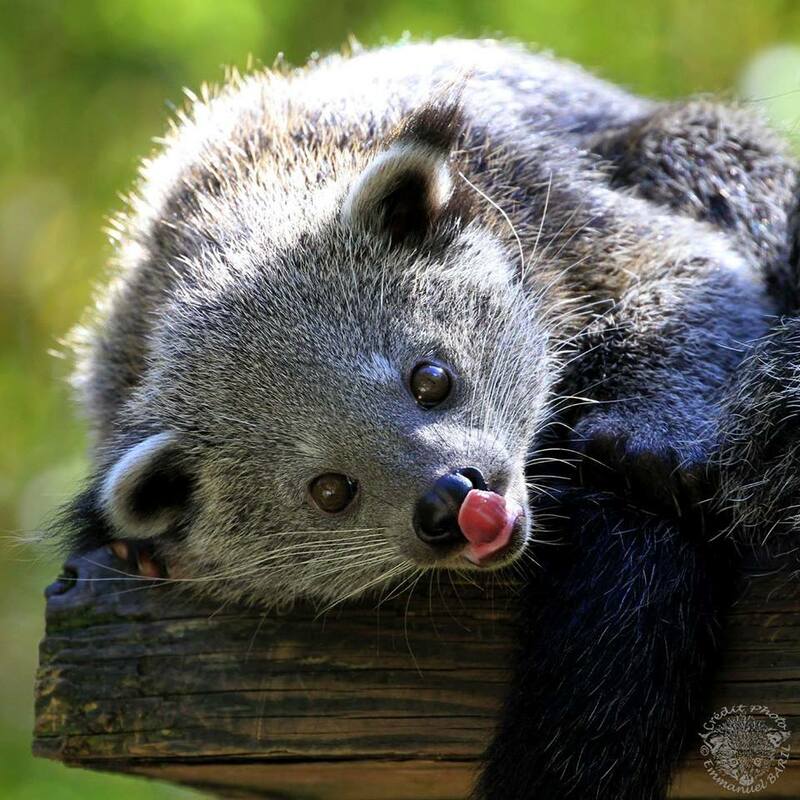 The body of the binturong is long and heavy, with short, stout legs. It has a thick fur of strong black hair. The bushy and prehensile tail is thick at the root, gradually diminishing in size to the extremity, where it curls inwards. The muzzle is short and pointed, somewhat turned up at the nose, and is covered with bristly hairs, brown at the points, which lengthen as they diverge, and form a peculiar radiated circle round the face. The Indian crested porcupine is a large rodent, weighing 11–18 kg. Their body (from the nose to the base of the tail) measures between 70–90 cm, with the tail adding an additional 8–10 cm. The lifespan of wild Indian crested porcupines is unknown, but the oldest known captive individual was a female that lived to be 27.1 years old. It is covered in multiple layers of modified hair called quills, with longer, thinner quills covering a layer of shorter, thicker ones. The quills are brown or black with alternating white and black bands. They are made of keratin and are relatively flexible. Each quill is connected to a muscle at its base, allowing the porcupine to raise its quills when it feels threatened. The longest quills are located on the neck and shoulder, where the quills form a “skirt” around the animal. These quills can grow up to 51 cm (20 in) long, with most measuring between 15–30 cm. Smaller (20 cm) and more rigid quills are packed densely on the back and rump. These smaller quills are used to stab at potential threats. 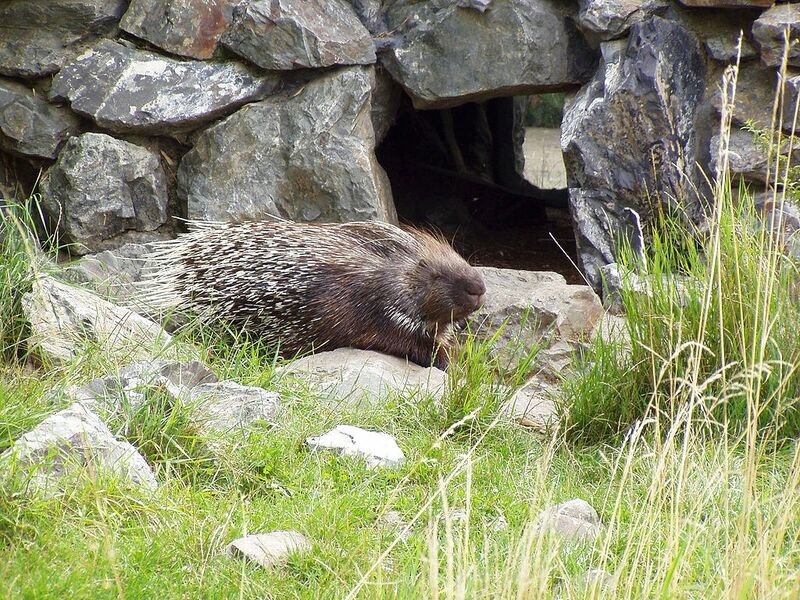 The base of the tail contains shorter quills that appear white in color, with longer, hollow quills that the porcupine can rattle to produce a warning sound when threatened. Contrary to popular belief, Indian crested porcupines (like all porcupines) cannot shoot their quills. 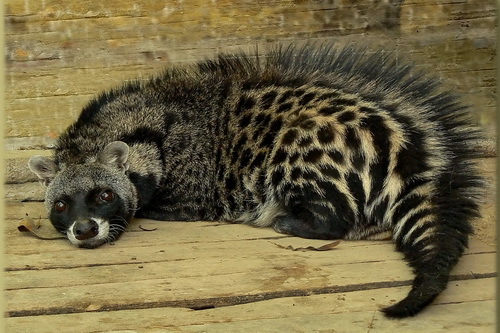 The African civet (Civettictis civetta) is the largest representative of the African Viverridae and the sole member of its genus. It is considered common and widely distributed in sub-Saharan Africa. 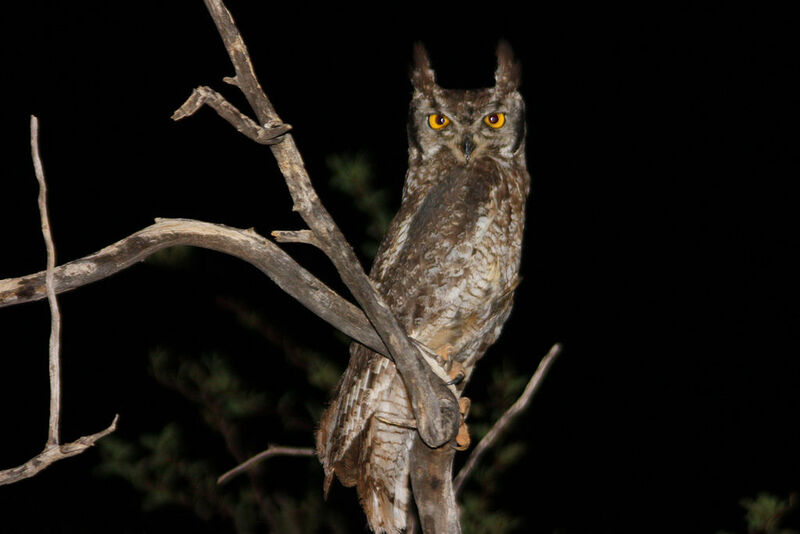 It is primarily nocturnal and spends the day sleeping in dense vegetation. The mammal is awake at sunset. 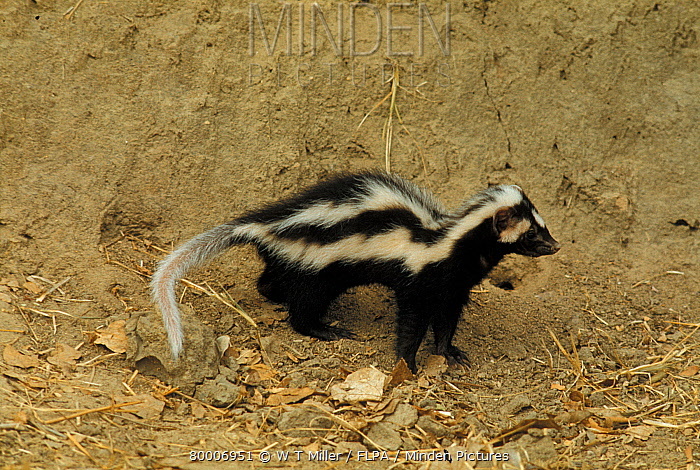 It is a solitary mammal that has a unique coloration: the black and white stripes and blotches covering the coarse pelage of the animal are extremely variable and allow it to be cryptic. The black bands surrounding its eyes closely resemble those of the raccoon. Other distinguishing features are its disproportionately large hindquarters and its erectile dorsal crest. 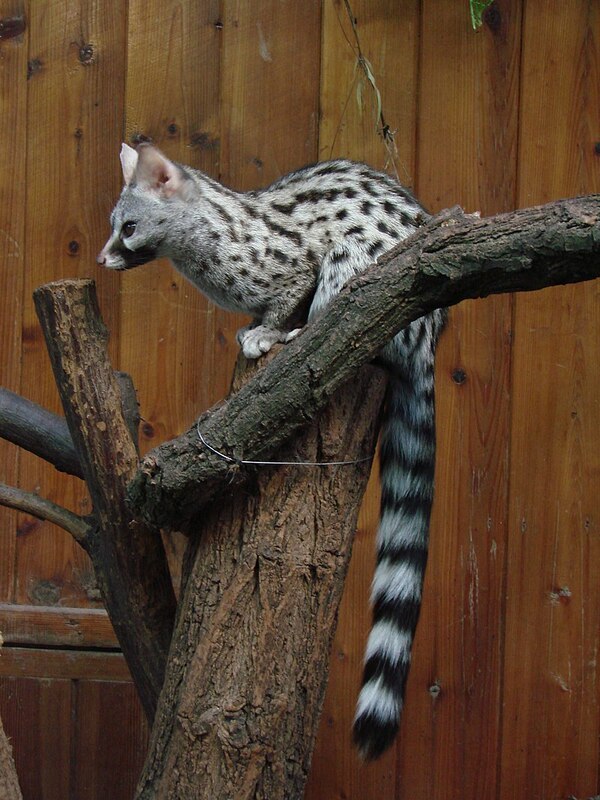 The African civet is an omnivorous generalist, taking small vertebrates, invertebrates, eggs, carrion, and vegetable matter. It is capable of taking on poisonous invertebrates and snakes. 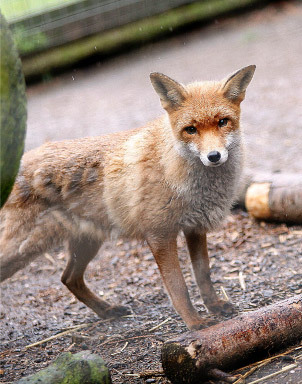 Prey is primarily detected by smell and sound rather than by sight. It prefers riverine habitats and woodlands. 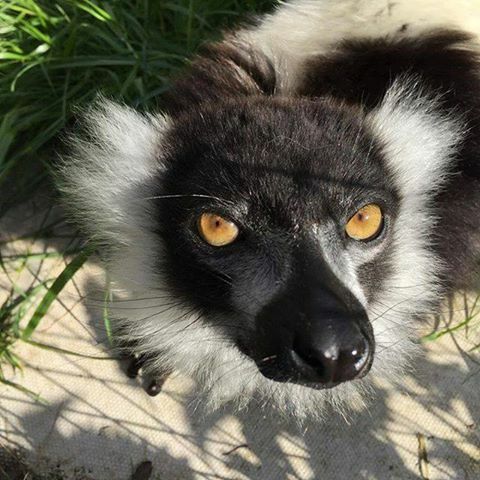 The black-and-white ruffed lemur (Varecia variegata) is a Critically Endangered species of ruffed lemur, the more endangered one of two which are endemic to the island of Madagascar. Despite having a larger range than the red ruffed lemur, it has a much smaller population that is spread out, living in lower population densities and reproductively isolated. It also has less coverage and protection in large national parks than the red ruffed lemur. Three subspecies of black-and-white ruffed lemur have been recognized since the red ruffed lemur was elevated to species status in 2001. Together with the red ruffed lemur, they are the largest extant members of the family Lemuridae, ranging in length from 100 to 120 cm (3.3 to 3.9 ft) and weighing between 3.1 and 4.1 kg (6.8 and 9.0 lb). They are arboreal, spending most of their time in the high canopy of the seasonal rainforests on the eastern side of the island. They are also diurnal, active exclusively in daylight hours. Quadrupedal locomotion is preferred in the trees and on the ground, and suspensory behavior is seen during feeding. As the most frugivorous of lemurs, the diet consists mainly of fruit, although nectar and flowers are also favored, followed by leaves and some seeds.